The Yoff commune of Dakar, Senegal. With so many countries interested in this oasis of stability, there seems to be something brewing that the rest of us have not figured out. THERE is something brewing in this small West African country. Something opportune, something good. The unfolding of this mystery may yet take years, but I have no doubt that one day we will look back on this period in time and go, “ah, so the signs were there”. What exactly those signs signal is still rather murky at the moment. What is readily apparent, however, is that in the six months that I have been in Dakar, an inordinate number of high-level visits from world leaders have taken place. A few days into February Dakar was abuzz with a three-day visit of President Emmanuel Macron of France. The French president was perhaps the first Western head of state to use the sparkling Blaise Diagne International Airport, inaugurated in December 2017. The airport, built with Turkish assistance and technology, had by February 2018 already welcomed a number of African leaders who use Dakar as a transit point for this region. In addition to the visit to Senegal’s capital of Dakar and the historic coastal city of St Louis, Macron was also in town to attend the Global Partnership for Education Conference, which Senegal was hosting. This meant that there were other high-level personalities also in town, chief among them World Bank president Jim Yong Kim who also took the opportunity to have a bilateral meeting to save St Louis’ coast. Then there was the visit of Turkish President Recep Tayyip Erdogan at the end of February. Apart from the new airport, Turkish investment in Senegal is quite substantial and more cooperation was forged following the bilateral visit. Turkey also built Dakar’s new indoor arena which was officiated just a few weeks ago. The arena, which can comfortably accommodate 15,000 spectators, adds to the attractiveness of Diamniado as a conference, sports and cultural events venue. Its unique architecture of multi-coloured glass windows and an insular dome makes it one of the most advanced indoor arenas in this part of the world. Apart from these two high-level visits, Senegal also welcomed the grand duke of Luxembourg, the president of Liberia, the prime minister of Belgium, the president of Sierra Leone, and the president of Cabo Verde — all within the first four months of 2018. Then, in July, Dakar was again busy — this time with the visit of President Xi Jinping of China, who brought with him a 200-strong delegation, mainly of businessmen and investors seeking to expand their presence in West Africa. 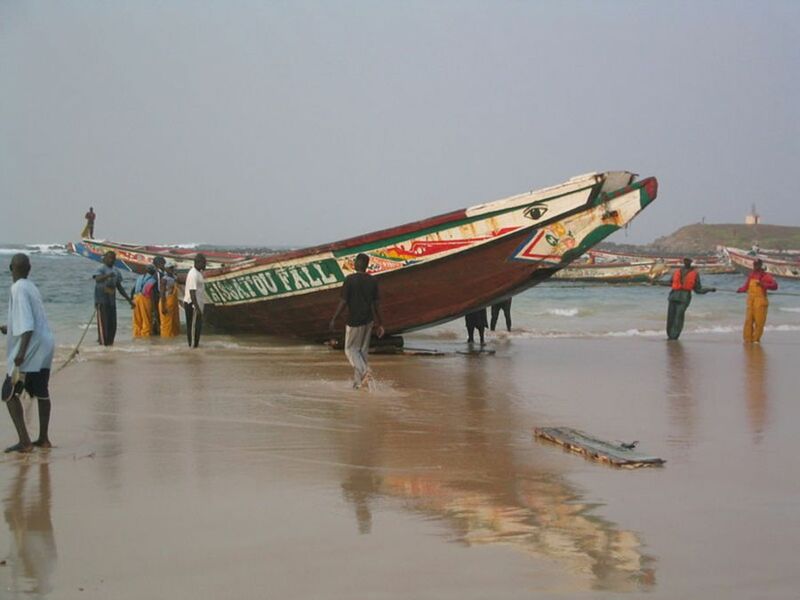 Senegal is almost an anomaly in terms of Africa’s turbulent history. Stable and with no civil wars since its independence in 1960, this West African nation has somehow managed to fly under Malaysia’s international “radar.” In the last three years, Senegal’s gross domestic product (GDP) growth has remained at more than six per cent per annum, with 2017 registering real GDP growth of 7.2 per cent. Compare this with the average GDP growth of the rest of Africa — at 4.4 per cent, and you will easily see that this is a country in the top 50 percentile of the continent. Admittedly, Senegal is not one of the ‘rising stars’ of Africa. The World Economic Forum awards that distinction to Cote d’Ivoire, Ethiopia, Kenya, Morocco, Rwanda — countries that have at times registered double-digit GDP growth rates. However, a country does not need to be always at the top of the rankings in order to be successful. Look at Malaysia — for a long time, between 1987 and 1997, it registered good economic growth but was not necessarily the top three performers in Asia. Malaysia made its name by being consistent and stable, not unpredictable and volatile. Senegal, too, does not need to register extreme growth figures — as long as there is good and consistent growth any country would be on the way to progress and prosperity. Most countries receive perhaps one or two high-level visits per year not least because of all the planning and protocol that goes with hosting such a visit. Countries with good potential or strong international standing would have perhaps three or four such visits, per year. Senegal has recorded eight such visits for the first seven months of this year alone. And the list continues. Later this month, German Chancellor Angela Merkel is expected to visit Senegal bringing with her a business delegation. I have no doubt that before the year’s end, there will be at least two or three more heads of state visits. With so many countries — at the highest political level — interested in this oasis of stability and growth, there seems to be something brewing that the rest of us have not figured out. Certainly, there is more here than meets the eye. The writer is a foreign service officer and an honorary research fellow of the University of Sheffield. These days, she writes primarily on international affairs, with particular emphasis on Africa.